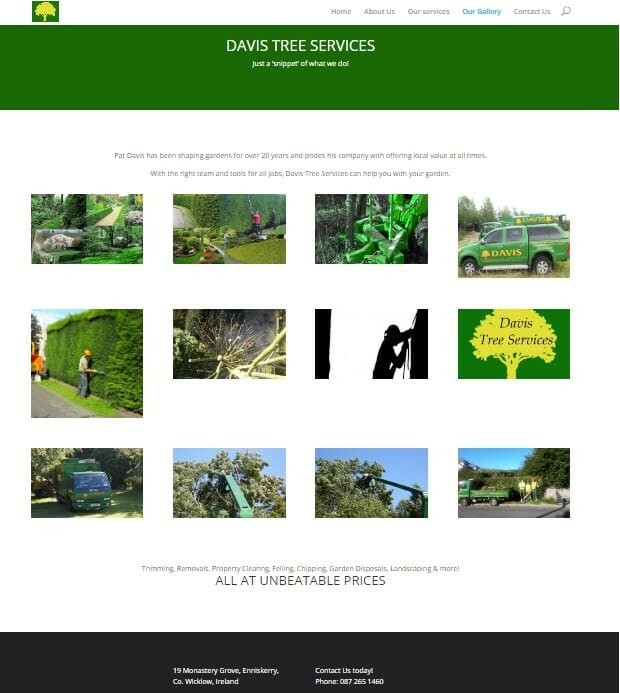 Web Design for Tree Surgeons – ‘Davis Tree Services’ is a recent example of our web design for tree surgeons. This website was designed fully by Arrow Design for the long established tree surgeons who is based in Enniskerry but provides valuable tree services throughout Co. Wicklow and Dublin. Pat and his team have completed work for some of the most well known premises throughout Dublin and his many vehicles can are well known throughout Dublin with the distinctive branding of Davis Tree Services. 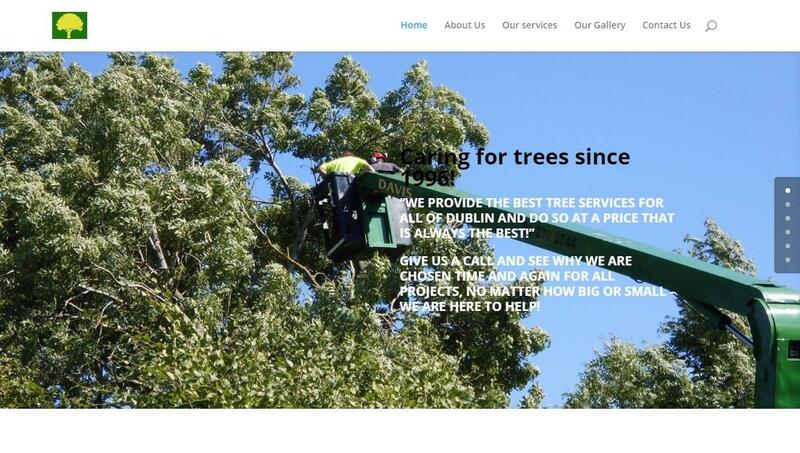 The website was designed in to incorporate the well known branding of Davis Tree Services and showcases some of the jobs that are completed in gardens and fields all over Dublin. The vibrant green colour combined with the graphic images create a beautiful website while incorporating the well known branding. As an example of great Web Design for Tree Surgeons – Davis Tree Services ranks number one in google searches when the name is searched for and ranks highly on many generic Dublin tree services searches. Davis Tree Services is also well represented on google through their google plus business page which displays his business to any potential customers who search for this business in the locality. 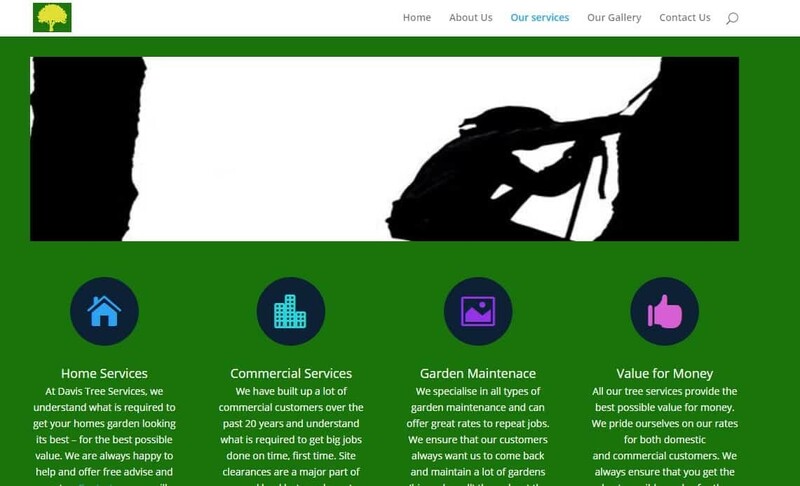 Our Web Design for Tree Surgeons, landscapers and gardeners all have a unique look and feel but we also use the right keywords and know what text need to be showcased. Just like with all our websites, we are happy to work with all types of tree surgeons and ensure our customers get the exact website they need. We always make web design easy for our customers.